Published by Knorr & Hirth Verlag First edition 1969. 1969. Published by Ane. Etablissements Le Deley 13 rue des Arquebusiers 13, Paris circa 1900. 1900. Card wraps. 3½" x 5¾" landscape. Cartes Postales Détachables. 10 [2 detached] tissue guarded sepia paintings. In Very Good clean condition. Member of the P.B.F.A. Privately Bound circa 1900. 1900. Hard back navy buckram covers, gilt stamping. 9" x 7¼" 87 single sided hand cut sheets. Hand written proof copy in ink with pencil corrections. 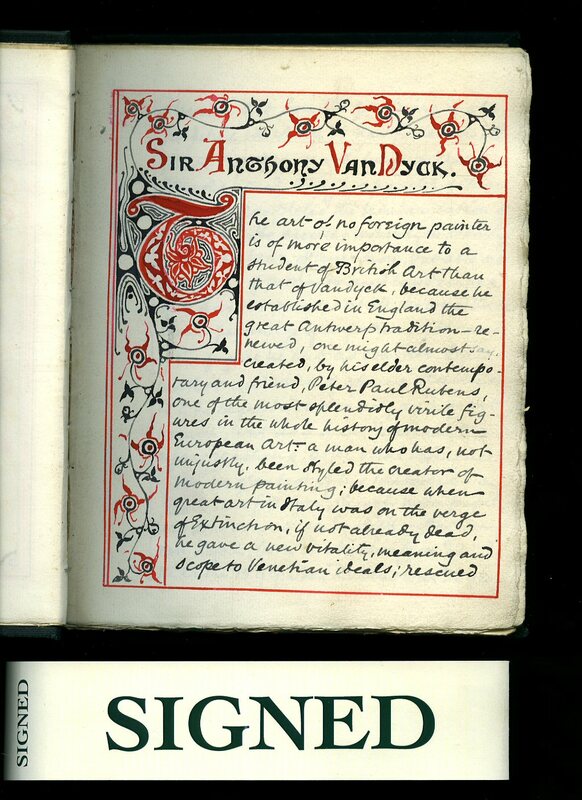 Elaborate title page and chapter heading designs in red ink. Notes on where and when this lecture had taken place, i.e. Junior Reform Club, Liverpool 11th August 1910. 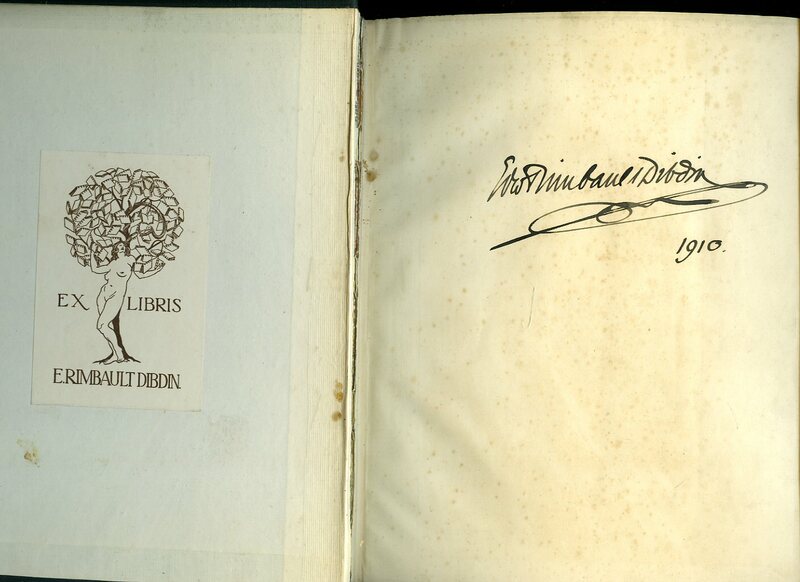 SIGNED by the author to front end paper and his personal bookplate to front paste down. Small post card enclosed "To dearest Iris with love and best wishes from aunt Sara May 1944. In memory of dear Uncle Edward". Light foxing to end papers and surface rubs to edges. Member of the P.B.F.A. Wight, Frederick Stallknecht [Vincent Willem van Gogh (30 March 1853 - 29 July 1890) was a post-Impressionist painter of Dutch origin]. 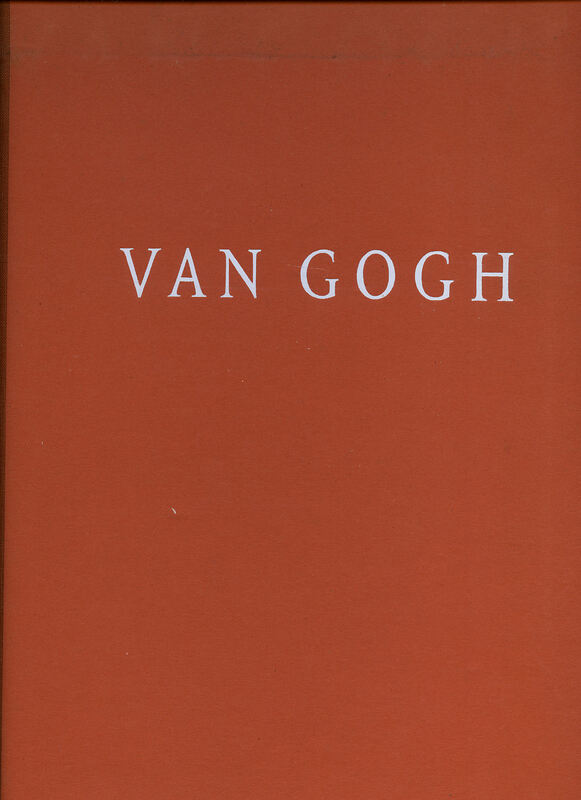 First edition hard back binding in publisher's original terracotta paper covered boards, white title lettering to the terracotta cloth spine and to the front cover. Folio 14'' x 10¼''. 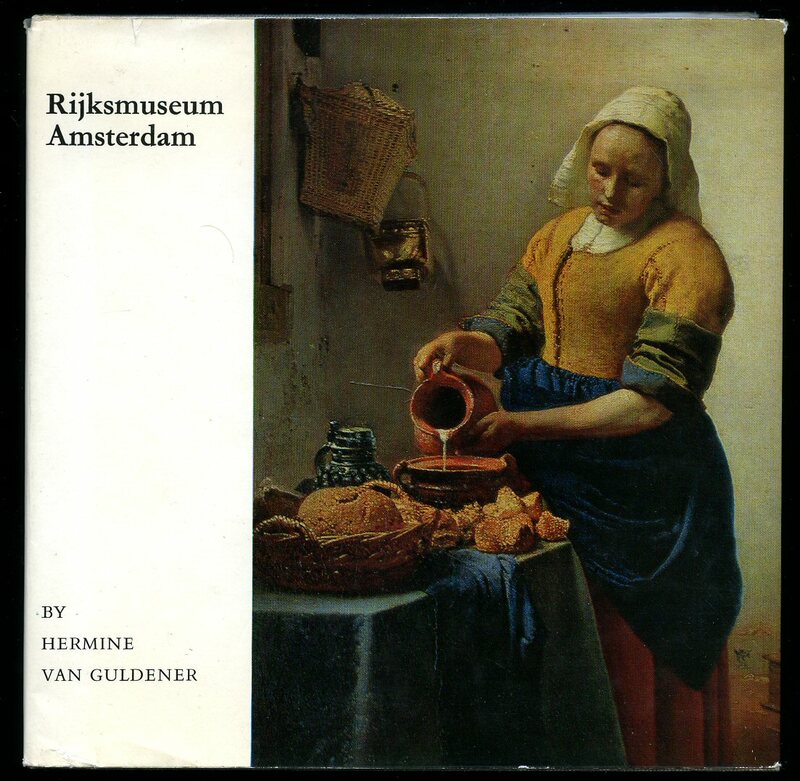 Contains 64 printed pages of text with 46 reproductions, including 12 in full colour. Spotting to the end papers and in Good condition, no dust wrapper. Member of the P.B.F.A. 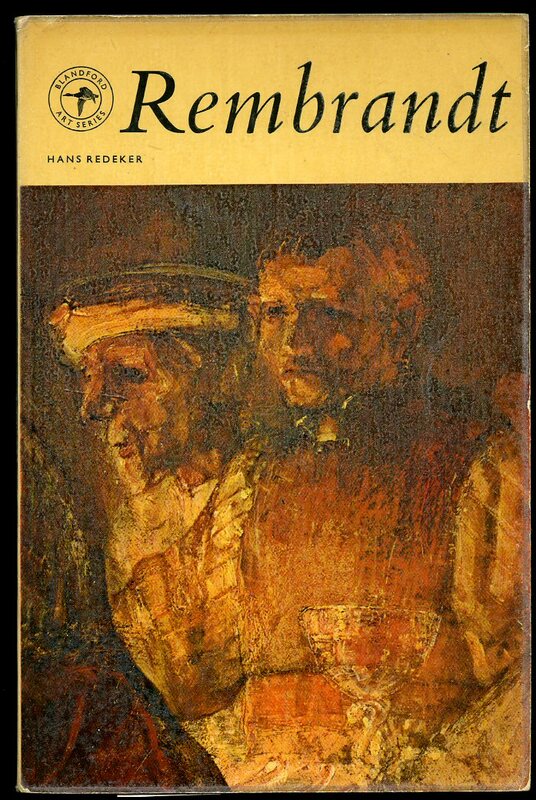 Published by Royal Academy of Arts, First Edition 1962. 1962. 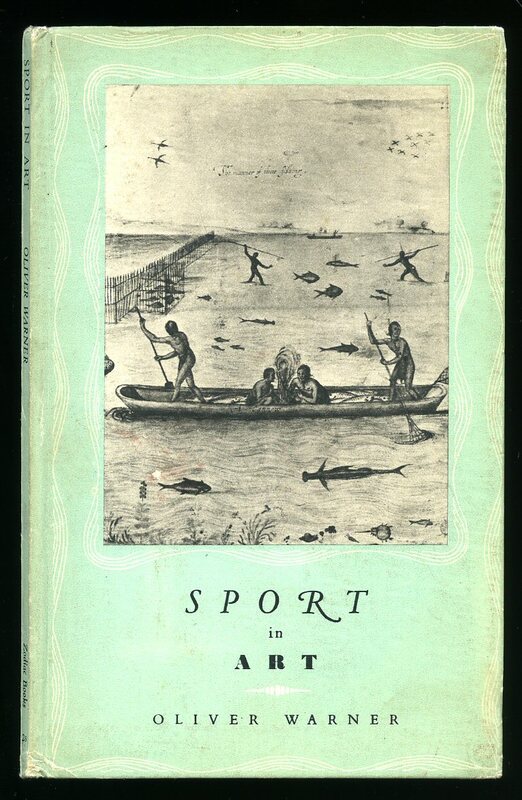 First edition in publisher's original illustrated card wrap covers [softback]. 8vo. 9'' x 6½''. Contains 61 pages of full-page monochrome plates. One small tear to the top front cover and in Very Good condition, no dust wrapper as issued. Member of the P.B.F.A. 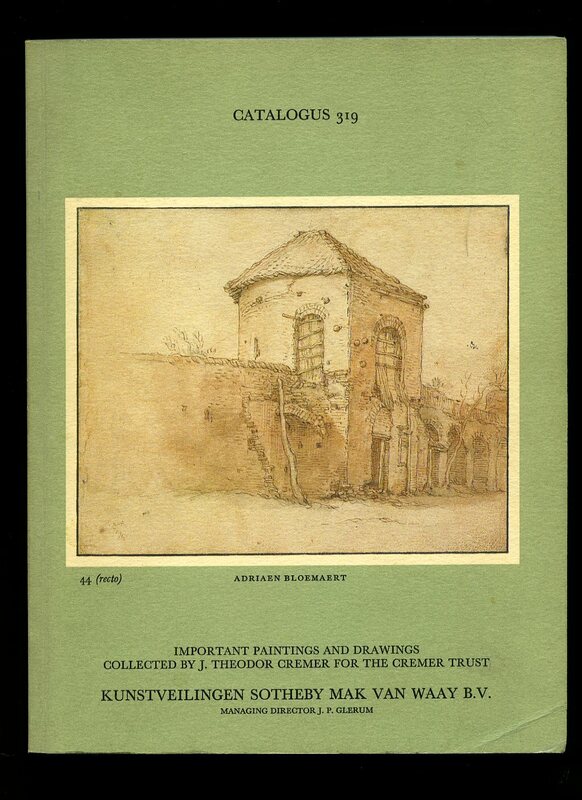 Printed by Sotheby 1980. 1980. Original illustrated card wrap covers. Quarto 10½'' x 8''. Contains 138 printed pages of text and colour and monochrome illustrations throughout. Without any ownership markings and in near Fine condition, no dust wrapper as published. Member of the P.B.F.A. Country Life Limited, Tower House, Southampton Street, London and The Anglo-Batavian Society 1929. 1929. 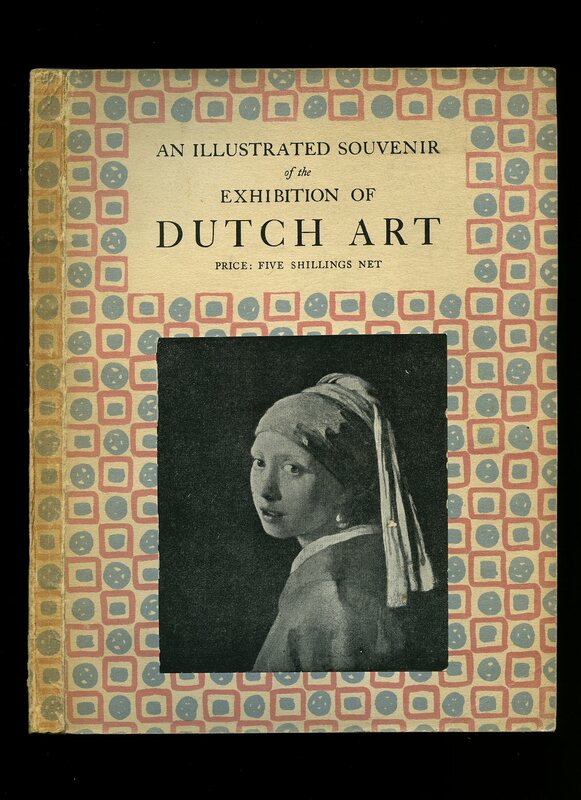 Publisher's original patterned card covers, pictorial onlay to upper panel. 8vo 9¾" x 7¼" 128 pages. Monochrome photographic illustrations on glossy silk art paper throughout. In Very Good condition. Member of the P.B.F.A. 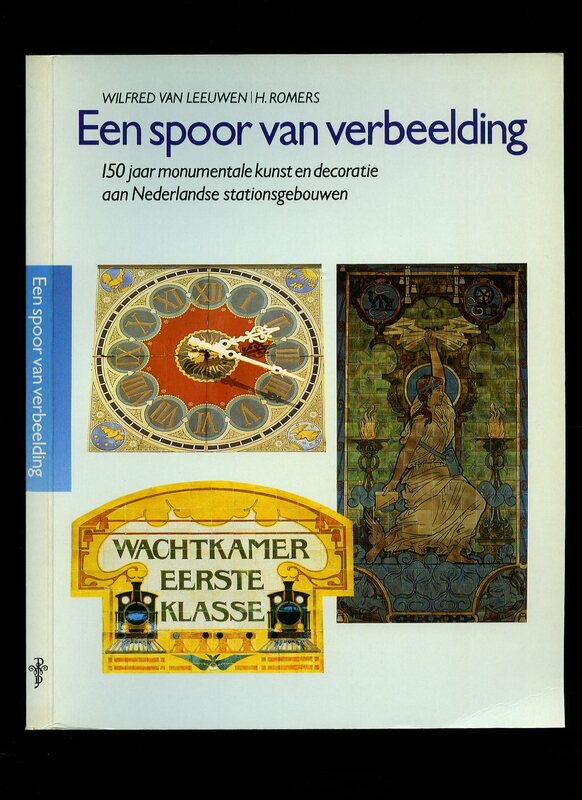 Published by De Walburg Pers, Zutphen First Edition 1988. 1988. 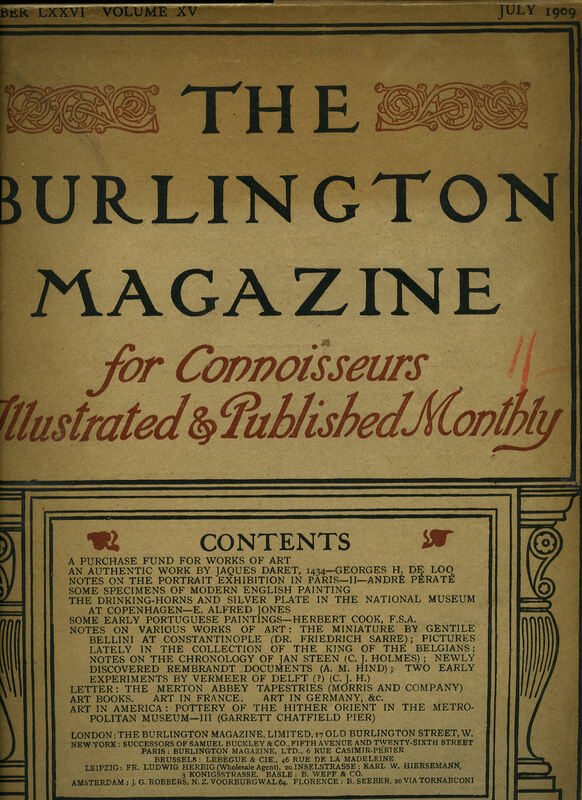 The Burlington Magazine for Connoisseurs, Illustrated and Published Monthly | Number LXXVI (76) Volume XV (15), July 1909. Published by The Burlington Magazine, Ltd., 17 Old Burlington Street, London July 1909. 1909. Publisher's original brown card wrap covers [soft back] with red and black lettering and designs to the covers. 4to. 12½'' x 10''. Contains pages [iv] 201-264 printed pages of text with many monochrome illustrations and photographs throughout. Tears to the over lapping edges of the card covers, text block clean and white and in Very Good condition, no dust wrapper as issued. Member of the P.B.F.A. 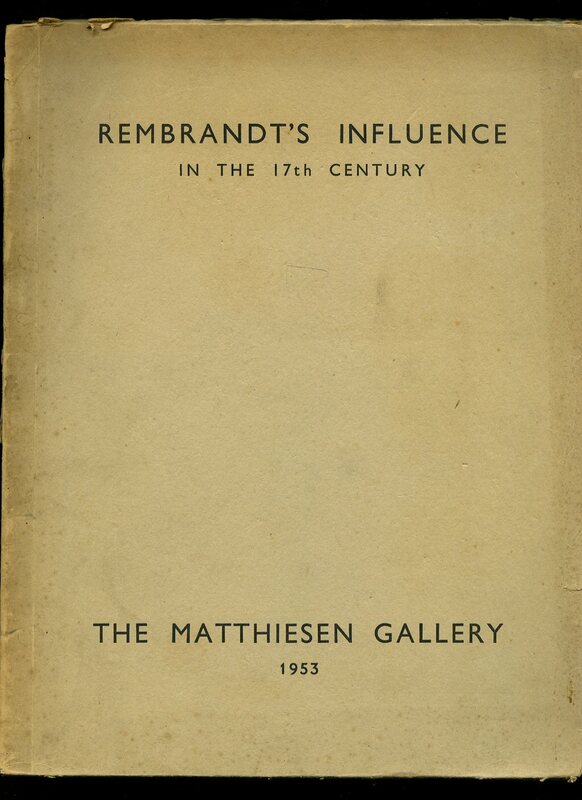 Published by The Matthiesen Gallery 142 New Bond Street, London 1953. London 1953. Publisher's original plain brown card wrap covers. Quarto 11'' x 9''. Contains printed pages of text followed by 69 monochrome plates. A few small tears to the over lapping edges of the card covers, without any ownership markings and in Very Good condition, no dust wrapper as published. Member of the P.B.F.A. Zodiac Books, London First edition 1950. 1950. Hard back binding in publisher's original illustrated paper covers. 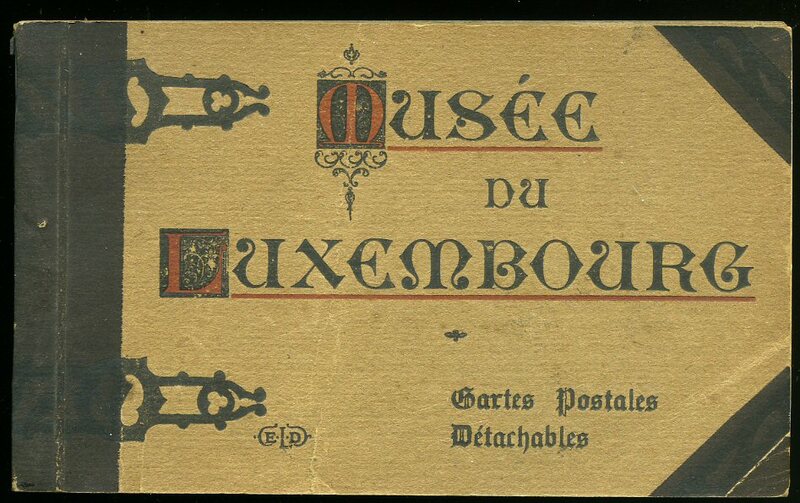 8vo 7½" x 5¼" 32 pp. Light foxing to end papers and in Very Good condition, no dust wrapper. Member of the P.B.F.A. Published by Blandford Press Ltd., 16 West Central Street, London First Edition 1961. 1961. 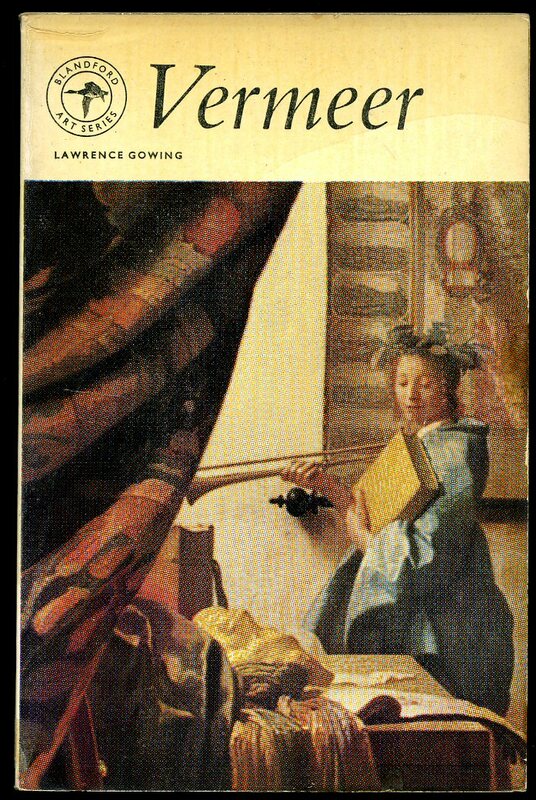 Published by Blandford Press Ltd., 16 West Central Street, London First Edition 1965. 1965. Eagle, Guildford, Surrey First edition 1996. 1996. 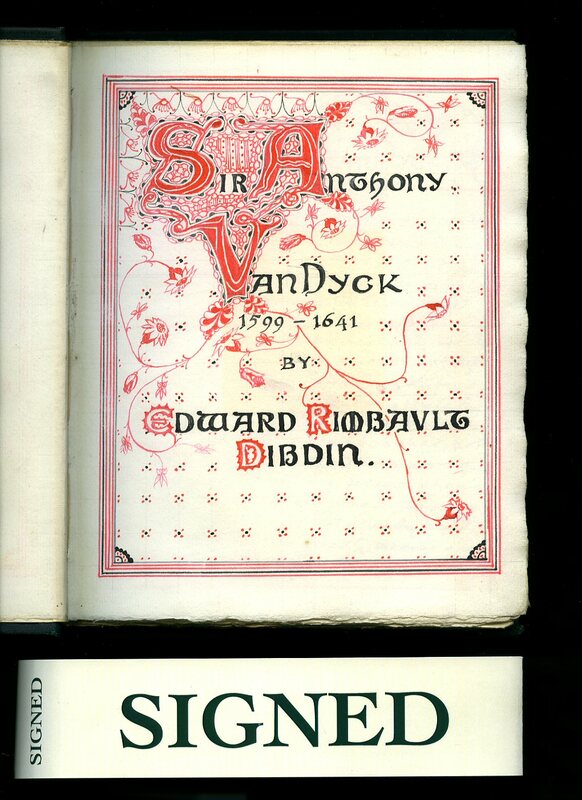 First edition hard back binding in publisher's original black cloth covers, gilt lettering to spine. Quarto 11½" x 9¼" 143 pp ISBN 0863471846. Colour and monochrome illustrations on glossy silk art paper. Fine condition book in Fine condition dust wrapper, not price clipped. New book never opened. Member of the P.B.F.A. 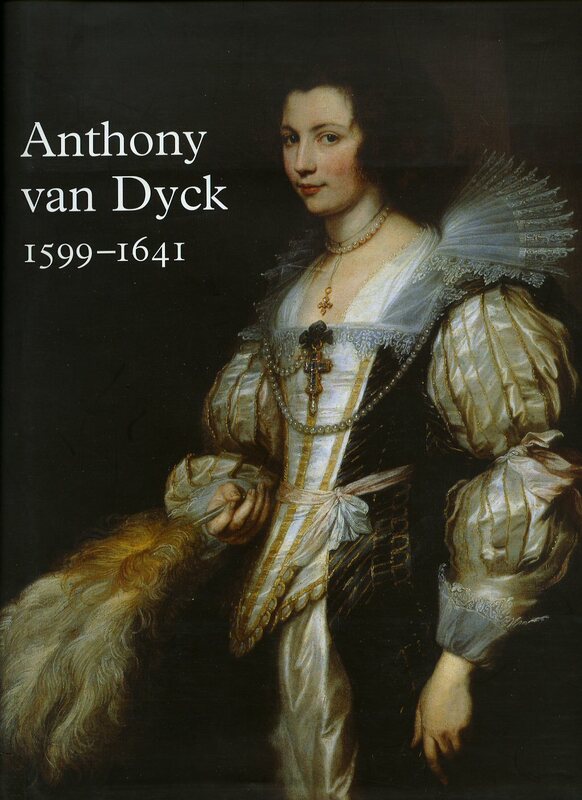 Christopher Brown and Hans Vlieghe [Sir Anthony van Dyck (22 March 1599 - 9 December 1641) was a Flemish Baroque artist who became the leading court painter in England, after enjoying great success in Italy and Flanders]. 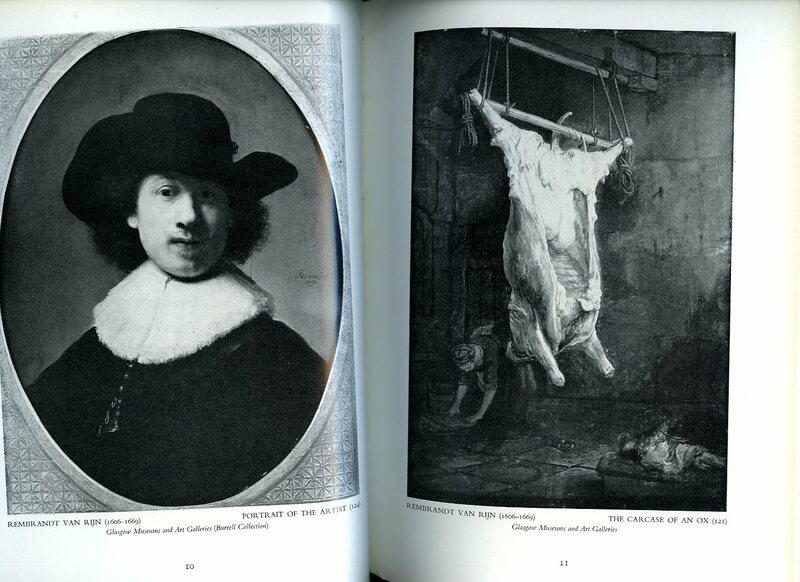 Published by Royal Academy Publications and Antwerpen Open Rizzoli, New York First edition 1999. 1999. First edition hard back binding in publisher's original terracotta cloth covers, black lettering to spine. Folio 12½" x 10" 359 pp ISBN 084782196X. Colour and monochrome paintings throughout. Fine condition book in Fine condition dust wrapper, not price clipped, book never opened or thumbed. He is most famous for his portraits of Charles I of England and his family and court, painted with a relaxed elegance that was to be the dominant influence on English portrait-painting for the next 150 years. 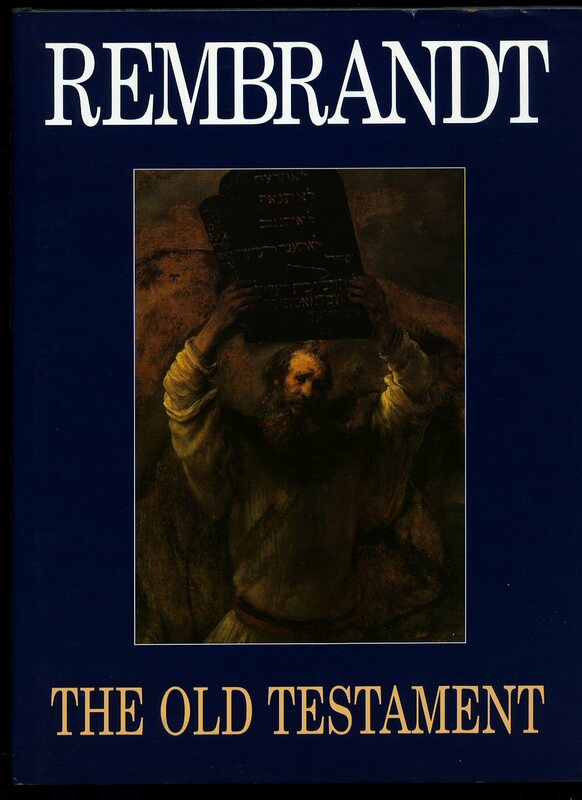 He also painted biblical and mythological subjects, displayed outstanding facility as a draughtsman, and was an important innovator in watercolour and etching. Member of the P.B.F.A.